Among sectoral indices, the Nifty Metal index ended 0.6 per cent higher with MOIL and National Aluminium Company being the top gainers. The Nifty Pharma index, too, settled nearly 1 per cent higher led by gains in Piramal Enterprises and Dr. Reddy's Laboratories. In the broader market, the S&P BSE MidCap index ended 68 points, or 0.46 per cent at 14,862, while the S&P BSE SmallCap index settled at 14,549, up 132 points, or 0.91 per cent. 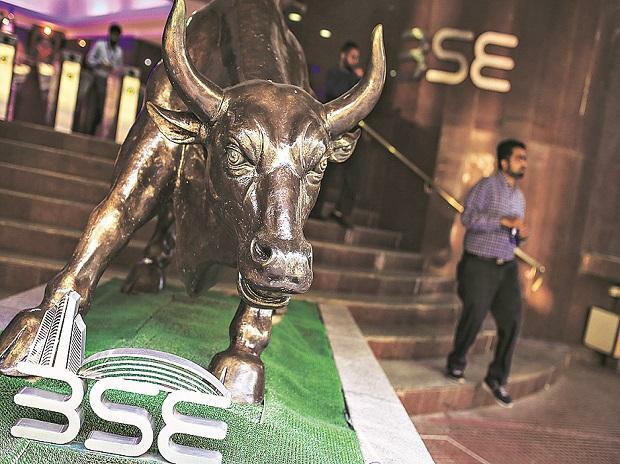 Shares of Edelweiss Financial Services surged 12 per cent to Rs 173 apiece on the BSE in early morning trade, extending its previous day’s 10 per cent gain. Canadian pension fund manager CDPQ has signed an agreement to invest over Rs 1,800 crore (approximately US$250 million) in ECL Finance, the non-banking financial company (NBFC) arm of Edelweiss Group. The planned investment by CDPQ would contribute towards establishing a large and diversified credit platform in India. This proposed investment will close after customary regulatory approvals, the company said in a press release.